Chapter 1 - What Is Hydroponics? You may have heard the word "Hydroponics" so many times. The media surely has popularized this method of growing plants. 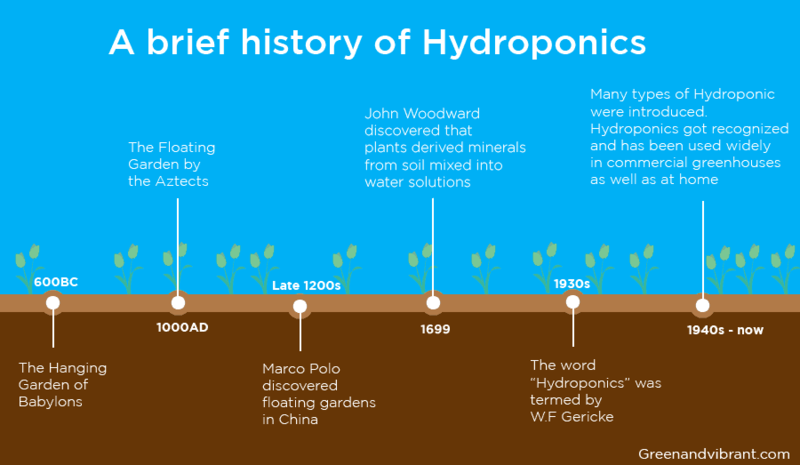 But what is its true meaning, and how did Hydroponics evolve through history? Well, you're about to find out. Hydroponics is a Greek term, made from two words - Hydro means water and Ponos means labor. And hence "working water" is its raw meaning. To put simply, Hydroponics is the method of growing plants without soils. Plants are grown in a soilless medium (we'll know about it below) and come into contact with the nutrients in the water for their growth. Hydroponics operates on the premise that as long as you are able to provide with what they need, plants will grow well. In this sense, Hydroponics is invented to rule out the influence of mother nature - It can be placed in a controlled growing environment. Hydroponics replaces the soil with water and the growing media. The growing media can be Perlite, sand, Rockwool, etc. Their main role is to transfer the nutrients in the water and keep the roots oxygenated. Nutrients are added to the water and are moved to the growing media and through the plant roots usually by a pump. The interval of each action is often set by a timer. There are several Hydroponic systems, but they all work as per to the above principle. Hydroponics is usually grown indoors or in a greenhouse. This means growers will take full management of the environment - climate, temperature, lights, ventilation, and so on. Hydroponic cultivation does not occur overnight. In fact, it has evolved from primitive types and has undergone lots of scientific researches by scientists. And what we have today is modern Hydroponics, which have been in a wide application by greenhouse farmers as well as Hydroponic hobbyists. Let's have a look at some of the key milestones of this method. The 600 B.C. - The Hanging Gardens of Babylon along the Euphrates River in Babylonia are the earliest example of Hydroponic culture. The 1000 A.D. to 1100 AD - The Aztecs developed a system of floating gardens called "chinampas" in the island city of Tenochtitlan. The 1600s - Belgian Jan Van Helmont performed the first experiments on plant growth & constituents. 1699 - An English man, John Woodward grew plants in water containing soil mixes. He concluded that plants take up nutrients from certain substances and mineral in the water, derived from the soil. Of course, this statement is incorrect. The 1860s - Two German botanists, Julius von Sachs and Willhelm Knop devised the first standard formula for plant mineral nutrient dissolved in water. The 1920s and 1930s - Hydroponics terms coined by W.F Gericke (U.C. Berkley). He experimented and popularised the practice of growing plants in a water solution. The 1950s - Many countries around the world started Hydroponics for commercial farms and greenhouses. These include France, Spain, Italy, England, Germany, the USSR, Israel, etc. The 1960s to now - Many Hydroponic systems are invented and are put into use, including the Nutrient Film Technique, the Drip System, Ebb & Flow, and Aeroponics. 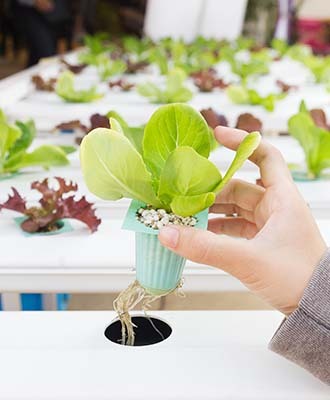 In the recent two decades, there is a stirred interest of growers into Hydroponics when it is applied to large-scale greenhouse farms around the world to provide foods for millions of people. The NASA also considered Hydroponics as a viable method to grow and provide food for astronauts on Mars. Before we dive into the details of Hydroponics, it's important to know about the pros and cons of this soilless cultivation method. Why is it a viable solution for future agriculture farming when the soil growing is still in place? 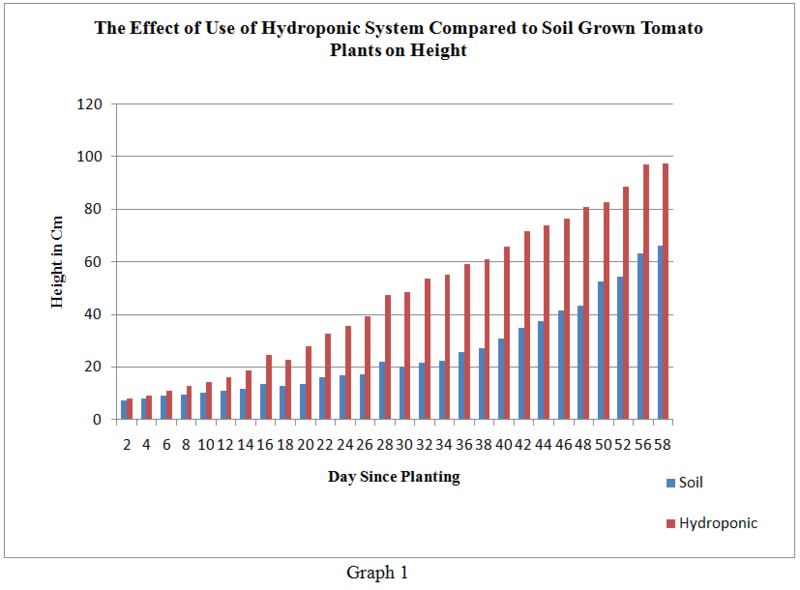 Hydroponics come up with several obvious benefits that the soils cannot compare to. Let's see. This is because plant roots directly contact with the nutrients rather than searching for food in the soils. All of these energies will be instead consumed in its growth, and in producing fruits and flowers. Growers are also in charge of the whole growing system - nutrients, temperature, lights, and so on. By this, you can provide with the ideal conditions that plants require. It is estimated that agriculture consumes 80% of fresh water in the US. Meanwhile, the FAO predicted that the food production would increase by 70% when the population hugely expands. That would be a huge issue to deal with for future farming. It's when Hydroponics is adopted as a viable solution. 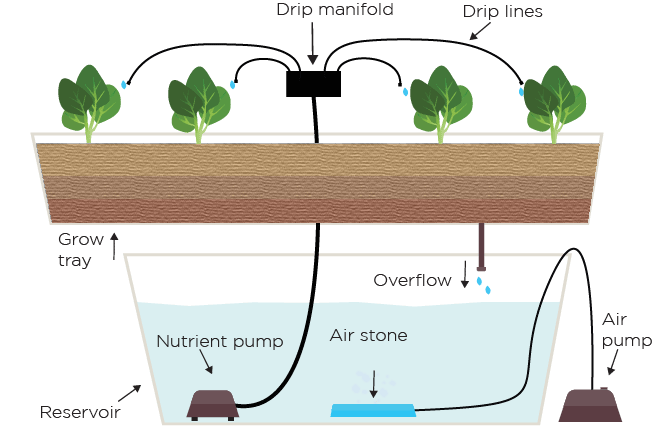 This soilless growing method uses only 10% water in comparison to soil agriculture. It is able to do that because of its efficient recirculated system. 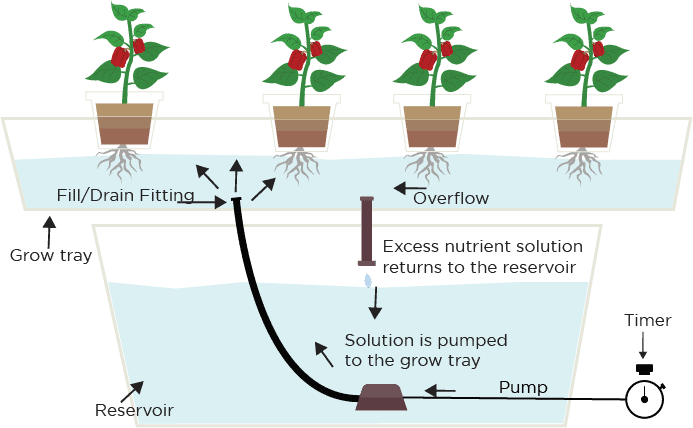 Hydroponic plants get the sufficient water while the run-off ones are captured and get back to the system. (1) You can grow crops anywhere whether in arable or heavily contaminated places. It saves the lands by growing plants in convenient locations like large-scale indoor greenhouses, or even in your apartment. (2) All of the weeds and soil-related pests and disease are eliminated in a Hydroponic system. All nutrients are added to the solution, and you are 100% controlling giving the specific amounts of foods (nutrients) that plants need. Unlike the soil, nutrients are not lost because they are held in the reservoir. Upon starting, you are sure to make some investments to get necessary equipment for the system, including a pump/timer, lights, air filters, fans, containers, growing media, and nutrients. 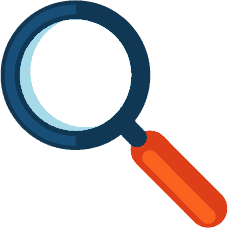 Depending on the scale and types of your systems, you'll need to own specific knowledge to set up, maintain and monitor. You'll also need to know how plants work in Hydroponics. Don't worry about these issues, because you're reading this now. System failure and power outage. The plants are depending on you for their survival. In case a power outage happens, they face a great risk of death in a few hours when the plant roots are stopped watering and get dried. There are still oppositions of many people about the USDA's decision to get Hydroponically grown foods certified as organic. This is because it is still questionable whether Hydroponic plants will get microbiomes as they are in the soil. This is the core of Hydroponics. It turns out that there is not just one type. 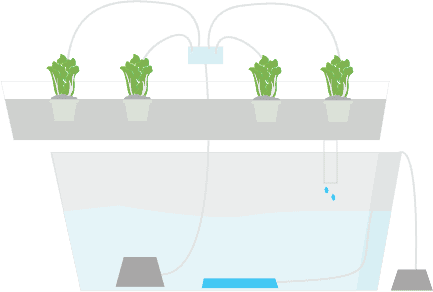 In essence, there are the six types of Hydroponic systems. Other variations are just based on these setups. Each has its own advantages and disadvantages. Read this chapter to find out. The first step to starting your first hydroponic garden is choosing a suitable system. There are many different types of Hydroponic system. These systems can be either active or passive. By active, the nutrient solutions are moved, usually by a pump. 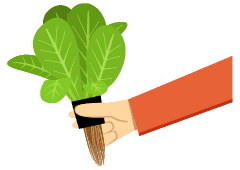 Passive means that a wick or the anchor of the growing medium helps flow the nutrients to plants' roots. Systems are categorized as recovery and non-recovery by whether the nutrients are reused in the system or not. This system is considered the most simple type of Hydroponic system. As the name means, this type works by pumping the nutrient solution from the reservoir up to the plants via the capillary movement like a wick into the growing media of the grow tray. DWC is an active recovery Hydroponic system. 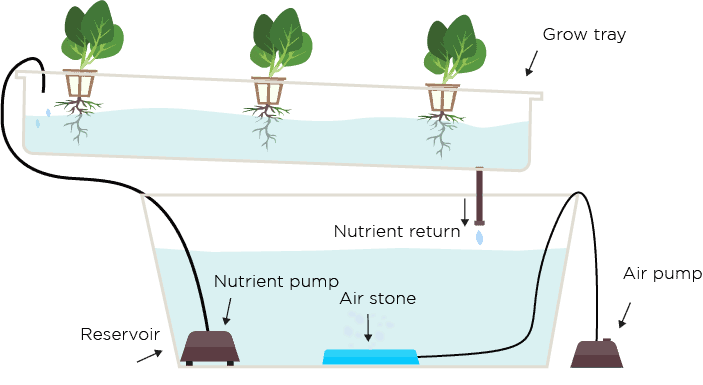 It works by hanging a net pot with plants held by a floating Styrofoam platform so that the roots are submerged with the nutrient solutions. NFT works by continuously flowing nutrient solutions onto the grow tray, so it doesn't need a timer. The solutions then run through the roots system of the plants till its reaches the channels' end then drains back to the reservoir. It is able to do that because the tube is slightly downward. NFT does not need any growing medium. Ebb and Flow method works by using a timer to set the pump to pull the nutrients from the reservoir to the grow tray periodically. After the nutrient surrounds plants'roots, it drains back to the system. In Drip systems, growers use a timer to set the pump to draw the nutrient solutions through a network of drip lines. These drip lines will drop tiny amounts of water onto the plants. Probably, the most high-tech type among the six. In this type of system, plants hung in the air, so no growing media are used. 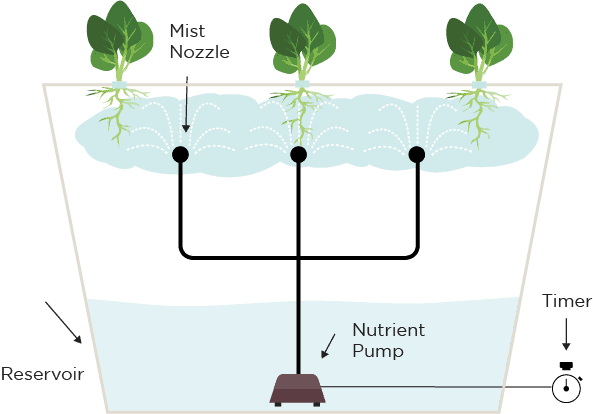 A timer controls the nutrient water pump to spray onto the root systems constantly. The spray cycle is quite quick because the roots are exposed to the air and need sufficient moistures. For beginners, it's better to start with something easy first. 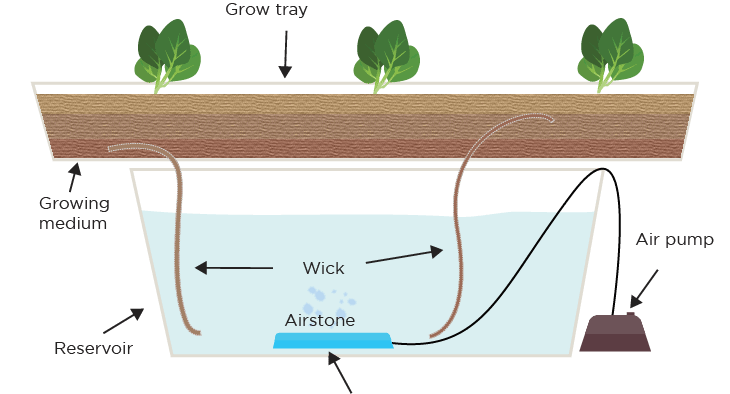 I recommend the passive system like the Wick, a variation of the Deep Water Culture - the Kratky Method. It is easy to set up and is fairly affordable. For active systems, you can begin with Deep Water Culture (active and recirculation DWC), Ebb & Flow and NFT as starters. 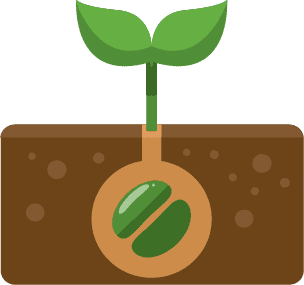 When the soils are eliminated, you need some materials to hold the plants as well as transmitting moisture, nutrients, and oxygen to the plants' roots. A growing medium does that job. There are so many growing media around us. Read on to know. There are limitless growing media around us. Even the air can be a great material as long as it can provide plant roots with oxygen, moisture, and nutrients. Good aeration and drainage - does your medium hold the moisture and oxygen well? Lightweight enough to work with and carry around. Organic made and environmentally friendly. Let's go over some of the most popular media used in Hydroponics. 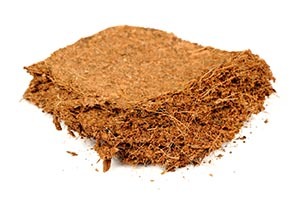 Coconut Coir, or also called "Coco-tek", "Cocopeat", and "Ultrapeat" is an organic material created from the coconut shell husks. The byproduct of the coconut industry now becomes one of the widely used media for Hydroponics. That is because of several advantages listed below. Able to hold water and the air well. Do not have good drainage. So often mix with other material. 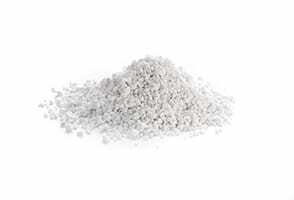 Perlite has been widely used to add aeration to the soil by traditional gardeners for so long. But this material is also one of the common medium choices in Hydroponics as well. It is created by expanding volcanic glass under extremely high temperature. Consequently, countless small white particles pop out like popcorn. Too lightweight for some Hydroponic systems. Rockwool has been used popularly either by hobbyists for commercial farmers in recent years. This material is created by melting rocks and spinning them into bundles of filament fibers. Rockwool is a versatile inert growing medium which can be used as a standalone material and many types of Hydroponics system, especially recirculating types. Not environmentally friendly - Rockwool is almost not able to dispose of. 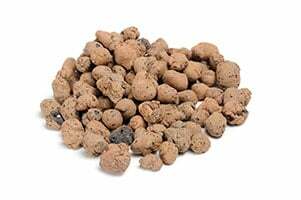 Expanded clay pellets are small marble shaped balls created by heating the clays until it expands into small round pellets. The porous rocks created from recycled glass is a versatile medium that can fit almost hydroponic system. Potential damage to some plant root types because of its clinging. 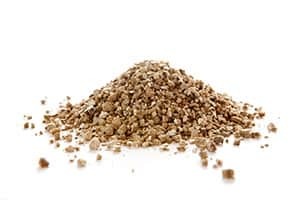 Like Perlite, it's a mined material that is made from expanded pebbles under extreme heat. It is often used in combination with perlite because of its poor drainage capacity. Great moisture and nutrient retention capacity. Starter plugs are made from organic materials like peat moss and other bioadhesive matters. This material is perfect for seed germination and plant propagation. It's very easy to transplant to a hydroponic system. Great for seedlings, and propagation phase. Only used for seedlings or cloning. What plants require are still the same in any environment - organic compost (C, O, N, H), macro and micronutrients. However, plants grown hydroponically don't have the similar ways to get the necessary nutrients they need. Plants get oxygen and carbon dioxide from the environment for respiration. Lights supply plants with energy, which is used in the photosynthesis process to make foods. 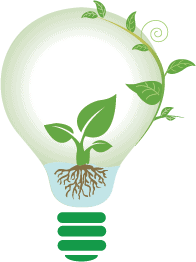 They get lights from the natural lights of the sun or artificial lights from grow bulbs. Nutrients in the water are what the soilless growers are in total control to let plants reach their full potential growth. They are what we are going to discuss. As the name implies, Macronutrients are the ones that plants need in large amounts. Leaf and stem growth. And its colors and sizes. Potassium is used in all stages of plant growth. It helps synthesize sugar, starches, and carbohydrates. It also plays a certain role in the development of roots, stems, and flowers. 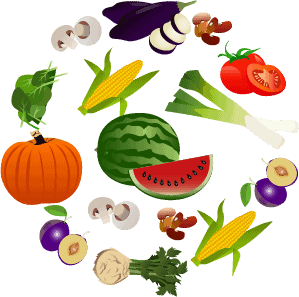 Plants with sufficient Potassium have good resistance to bacteria and insects. Fast-growing flowers and vegetables need Ca nearly as much as macronutrients. It is necessary for cell formation and development. Again, fast-growing plants also need Mg in large amounts. Mg is essential to chlorophyll production. It helps create the oxygen through photosynthesis and is recognizable in healthy and vigorous plants. Sulfur the components of 21 amino acid that form protein, many hormones, and vitamins, including vitamin B.
Micronutrients are required in smaller amounts. Yet, they still play an important role in plant growth. Zincs work other elements to form chlorophyll. Important for stem growth, and vital catalyst for most plants' enzymes. MN aids in nitrogen utilization along with iron in the production of chlorophyll. Needed for chlorophyll synthesis and is important to the enzyme system. These are by no means a complete list of micronutrients. But take care of the macronutrients first, and don't let plants get too deficient and excessive of these micronutrients, and you are going fine. However, getting to know all the required nutrients that plants need are not enough. In reality, certain nutrients are only soluble at different pH levels, which are going to go into details. How does pH affect nutrient availability? The chart shows vital plant nutrients and the levels of pH to which plants can take up the nutrients. As you can see, not all nutrients are available at the same pH level. Normally, macronutrients (N, P, K) are soluble in the middle of the lines. Meanwhile, micronutrients (trace elements) are available mostly in the pH middle level, and some are at the lower left end of the pH level. You will notice that there is a sweet spot. That is a little left of the pH chart, namely from 5.5 to 6.5. So the good rule of thumb for plants to absorb necessary nutrients is to keep your solution at the above level. Anyone entirely new to Hydroponics should start with a proven and already made nutrient package for your Hydroponic systems. If you want to save the time and want the nutrient step as simple as possible, sticking with the Hydroponic available nutrient products from your local store also makes sense. You can learn how to choose the best hydroponic nutrients for your system from our post. If you accumulate some experiences, you can make your nutrient mix. Get the nutrient designed specifically for Hydroponics. Nutrients for the soil are not the same as these for Hydroponics. Choose the 3 part solution. You can create and mix different formula later for the different growth phase. Measure the pH level of your solution, and adjust it to the 5.5 to 6.5 level. Check the nutrient mix temperature. Too high of the temps can cause plants' death. Too low and it can stun plants' growth. So keep it at 68 - 72 degrees Fahrenheit. Regularly check the pH level, the ppm of the nutrients in order to adjust it accordingly. Change the reservoir water and nutrient solution several times a month. How do you grow plants indoors all day without the lights? Or your outdoor space doesn't get enough sunlight. When it comes to lightning, the sunlight is still the best. But technology makes the artificial light much more viable and bring almost the similar results as natural light. Why Do Plants Need Lights? For survival, plants need foods. However, they don't actively seek the foods like the human. Instead, they use sunlight to make food (sugars) through a process called photosynthesis. Plants store the sunlight's energy in a green pigment of their leaves, called chlorophyll. CO2 in the environment react with water from plants roots under the sunlight. The sugar (food), glucose is created in the process of photosynthesis. Then it is used for respiration or converted into starch and stored. This perhaps the most popular choice for home gardeners, largely because of its cost, its acceptable efficiency. There are two types of Fluorescent lights - CFL and Tube-style lights. CFL lights are the inexpensive twisty bulbs that can be found anywhere near your living. Since they are short and don't produce lots of heat, they can be placed near plants and are great bulbs for small set-ups. There are several kinds, including the T5, T8, T12. Among them, T5 lights are the most used and the most efficient. They are much wider than CFLs and usually comes with many bulbs arranged paralleled one another in a panel. HID lights are more efficient than fluorescent ones. They deliver more lights per watt as well more heats. So they tend to get hot fast and need much ventilation. High-Pressure sodium bulbs give off more light in the yellow and red range of the spectrum. So even though they can be used in all growing phase of plants, they are more favored towards the fruiting and flowering plants. MH emits light at the blue range of the spectrum. Hence, it's better suited for the vegetative phase of plants. 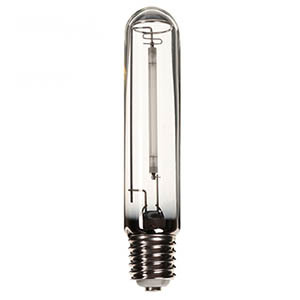 Ceramic Metal Halide (CMH) lights seem like MH, but it works quite differently and more effectively. CMH has a much wider light spectrum than MH and HPS. And it has better a life-span than the two. LED lights come later in the indoor gardening world. But it is such an efficient method compared to other lights. They produce much light with little electricity. LEDs are incredibly lightweight. They run cool and usually have built-in cooling out of the box. 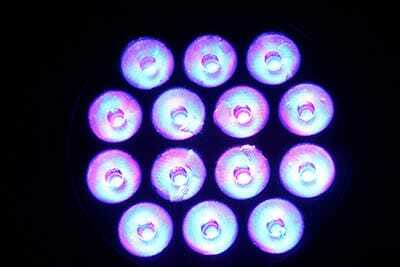 LEDs are made up of many diode and growers can customize which light wavelength/light colors they need for plants. However, LEDs are expensive, and they tend to take lots of space. If you are total beginners on a budget and your setups are small, CFLs are a great choice. They are relatively inexpensive and give enough lights for smaller, stealthy grow areas. 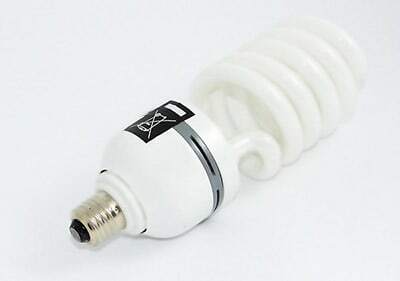 CFLs work great for small plants that require not much light. Want a better solution for your plants at each grow phase? You can stick with the HPs/MH lights. MH/CMH lights will be used for the vegetative and other phases while HPs are used for the flowering phase. If your budget is not a problem, and you want something that is modern, durable, energy-efficient, go with long-spectrum LED lights. Besides the weather that brings great heat to your growing system, grow lights are also the main cause that increases your system's temperature. In that case, you'll need to have some ventilation methods. If your budget is large, consider getting a water chiller to assure your plants' best-growing condition. The Hydroponic guide would be incomplete without a chapter on what plants can be grown hydroponically. What kinds of plants that thrive in Hydroponics? You can grow anything in Hydroponics provided that you create a proper set-up and supply plants with sufficient nutrient balance. But you should not take that mindset and grow anything you want. These types of plants are fun to grow, work great in Hydroponics and are not a pain to start with. What Not To Grow First? This does not mean that you cannot grow these plant kinds. They are just harder to grow and will require special care. Meanwhile, most of the time, the yields are not as good as in the soils. However, if you want to experiment and find growing the specific plants you want the most enjoyable or if you are experienced growers, don't forget these plants. Some root plants require lots of depth for the root systems. You will need to support the roots, and the media must be large and deep enough for the root to grow. These plants include potatoes, carrots, turnips. You should stay away from melons, squash, pumpkins, corn if you lack the spaces for growing. What's more, these plants are heavy, so you need to support them properly. But if you have a large area like a greenhouse, the barrier has been lifted. When it comes to building your own hydroponic system, there is not just one way to set it up as different systems will have different working principles. It's hard to cover thoroughly; so I'll list various useful resources here so that you can follow each hydroponic plan tutorial you like and start it from scratch. Building a soilless system is not just valuable for your family's kitchen, but it's fun as well. If you enjoyed the guide, would you mind sharing it on social media? Just click the social icons of your screen to share. Your sharing will help get more people to read our article. This means we can have more motivation and resources to create greater and more detailed content. 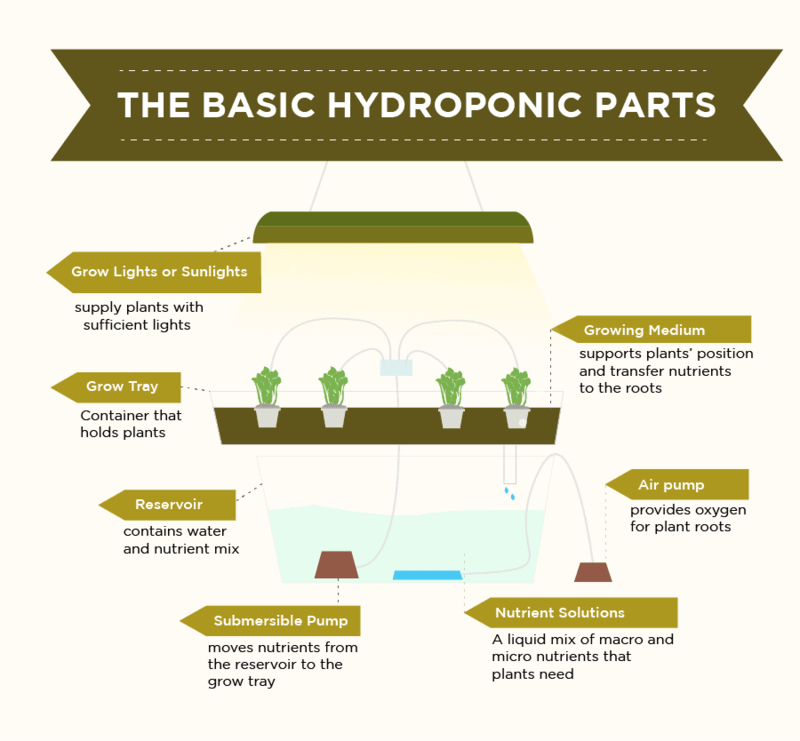 Here's the handy infographic we made for the most important parts of Hydroponic gardening. Love the infographic? Again, feel free to share, tweet, and pin it to your friends. Very good overview. Love the graphics. I have also learned a lot from you. Great resources out there. This is a great article and very informative. I really liked the infographics on the different growing systems as it really help show the differences between them. Keep up the good work!